Rising incident statistics in the construction industry indicate that action should be taken to address the causes of injury and moderate the trend of rising claims. In 2006 there were 38 fatalities in construction, and in the first half of 2006 alone, the number of serious injuries grew by 36 percent. Falls from elevation represented one quarter of all construction claims and more than half of the claim costs charged to this sector. These trends are startling, especially after the previous decade of decreased injury rates. 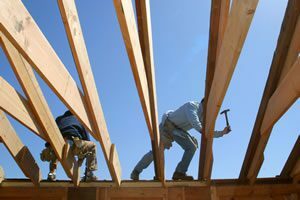 Today, construction is second only to forestry in terms of injury and cost rates. The 2007 Construction High-Risk Strategy (HRS) will involve the entire construction industry, including owners, prime contractors, subcontractors, supervisors and workers employed on worksites across British Columbia. The HRS will focus on the 12 construction trades in which 75% of all construction-related injuries occur, and it will also focus on the three primary sources of injuries in the industry, namely: falls, struck by/struck against and musculoskeletal injuries (overexertion). The HRS is a plan aimed at reducing injury, illness, disease and death within higher hazard industries, including construction, forestry, healthcare and manufacturing. WorkSafeBC’s Construction High-Risk Strategy will require increased leadership and commitment on the part of BC’s construction industry in order to create an environment where a safe and healthy culture can succeed.